The event takes place in Second Life at Mowry Bay and yacht club. Sailing will be followed by a party with popular DJ Massare Soon. During the party, sails will be given out for donations to SL Peacefest charities. Even non-sailors may take part…the party and festivities will be enjoyable for all! Late breaking news…..we have word that an anonymous donor is matching donations at Sail for Peace for L$ 25,000! What a super way to kick off SL Peacefest’s fundraising! Thank you Thank you Thank you! 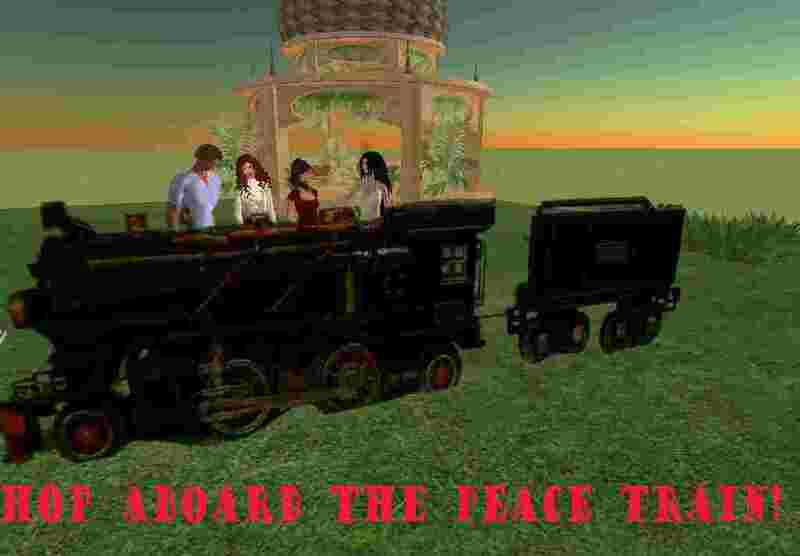 Join the Peace Train group in Second Life for more information about this and future SL Peacefest Events! RESULTS!!!!! See the comments below – AND the Donations tab at the top of the page for the fantastic donations PeaceFest received! Over 52,000 lindens donated at the Sail for Peace – Many many thanks to all donors, and especially to the anonymous donor who matched the first 25K in donations! Second Life Musician Making a Difference for Peace! 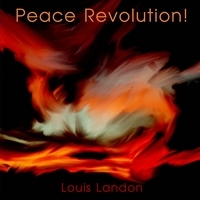 Peacefest performer Louis Volare, (aka Louis Landon) has posed a challenge to his SL friends, and real live cohorts by offering a daily free download of a brand new performance, a daily improv, for those of us who wish the war in Iraq to end. In the name of peace, he plays for us freely, every day. All he asks is that we share this gift with as many people as possible. I have decided to add a new improv to my MySpace page every day until the war in Iraq is over and our troops come home. It will be a free download. When possible, I will have a very short concert at the Peace Revolution! Center and will perform the improv that I will post at 9 pm SLT. If you take advantage of the free download, all I ask in return is that you e-mail the music out to as many people as possible and that you ask them to pray for peace. Together we can change the world. Go there now and spread the word! directly from the inside cover…..
I’ve been smiling lately, dreaming about the world as one and I believe it could be…. Oh I’ve been crying lately thinking about the world as it is. Why must we go on hating, why can’t we live in bliss? 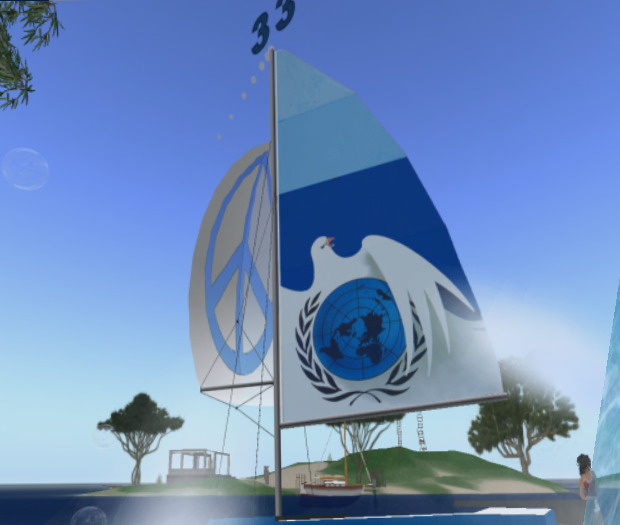 The Peace Train is sounding louder as we get closer to our first SL Peacefest event! Many are joining the group and coming up with fantastic ideas on how to make this event even more in line with our goals and dream of a more peaceful planet. Kudos to all who are working for peace, and to all who may still join us on our quest! Some of us got together after the meeting…..after talking about necessary stuff like 501c3’s and security etc, and took a break to goof off with a quick photo with our model train! Y’all stop by and take pics… The train awaits~!